13 ways to kill your community. Chris Field challenged community leaders, elected officials, and economic developers to think and act with imagination to make a difference in small and large communities. He argued that governance is central to making a difference, where processes, culture, and ideas are critical, where better is not just about bigger. Chris advocated positive attitudes, attract multiple talents, engaging leadership, provoking communication, and building trust. Local leaders need to be enablers, catalysts in vision, strategy and actions. Stop being vanilla, speak and write with colour and difference, he called for people to create a vision, set a direction, and take action. He knows it is like herding cats, but that too can happen. 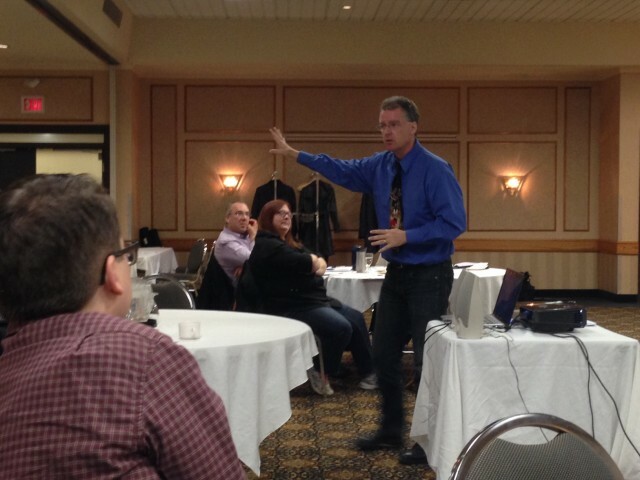 Rural Development Institute sponsored this workshop held by Community Futures Westman in Brandon.